In one of her first interviews since then, she told the press that she rejected the idea that a rise in immigration was fuelling racism. The first funerals, of a father and son from Syria, took place on Wedneseday. Asked about the rise of right-wing nationalism she said: This was an Australian citizen but that is not to say that we do not have an ideology in New Zealand that would be an affront to the majority of New Zealanders. She said there was a responsibility to weed it out where it exists and make sure that we never create an environment where it can flourish. But I would make that a global call, she added. What New Zealand experienced here was violence brought against us by someone who grew up and learned their ideology somewhere else. If we want to make sure globally that we are a safe and tolerant and inclusive world we cannot think about this in terms of boundaries. 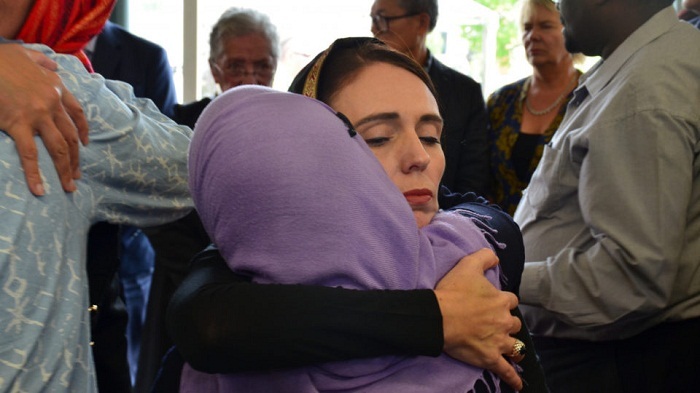 She defended New Zealand's record on accepting refugees, saying: We are a welcoming country. I utterly reject the idea that in any way in trying to ensure that we have a system that looks after those who choose to call New Zealand home, which we have perpetuated an environment where this kind of ideology can exist.